Regulatory compliance solutions from nProtect help financial companies to meet challenges of continuous regulatory changes by government and to protect asset and information from malicious cyber attacks. nProtect provides the solutions is the perfect choice to comply with GLBA compliance. Preventionpreventing cyber attack and achieving a state of regulatory compliance. Protectionprotecting valuable asset and information from cyber attack that costs companies millions dollars a year. Programprogram to implement on-line security guideline and risk management. 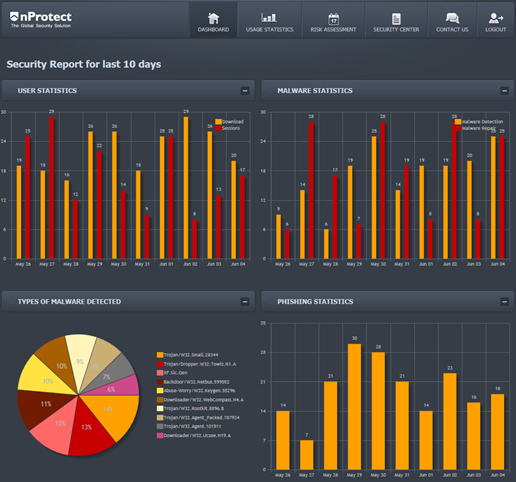 nProtect is an endpoint software for security and GLBA Compliance. nProtect can help your company protect endpoints and assure regulators that you are meeting FFIEC guideline required by GLBA compliance. It reduces the cost and complexity of IT security while strengthening risk management. The Gramn-Leach-Bliley Act of 1999, usually called GLBA, was designed to deregulate and enhance competition in the financial industry. Meanwhile, its personal information protection and privacy rule enforce all financial service companies to design, implement and maintain information security program. We provide a solution that meets the Federal Financial Institutions Examination Council (FFIEC) guidelines. It is defined under Section 501(b) of GLBA and regulated by the Federal Trade Commission (FTC), that requires financial service companies to protect customer records against unauthorized access. It ultimately asks the financial service industry to take responsibility to ensure the security and protect against any threats or attacks. Under Section 504(a) of GLBA , all financial service companies are required to provide their customers with a notice of privacy policies and practices. It prohibits to disclose nonpublic personal information to "nonaffiliated" third parties without authorization from consumer. FFIEC guideline is a set of standards issued in October 2005 for GLBA compliance. The standards require multifactor authentication (MFA) because the traditional single-factor authentication is inadequate for both consumers and financial service companies to protect personal data from increasingly sophisticated hackers. . Monitors to identify phishing contents contained in websites. Prevent any modification or changeof hosts file in your system against malicious programs. Protects personal information against keylogging by using industry-standard 128-bit encryption. Automatically detectable and removable of the latest banking malware. Monitors and detect any unauthorized or suspicious network access. Blocks uncertified or unauthorized screen capture programs.